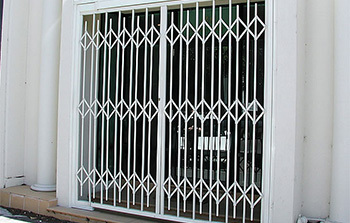 A strong functional steel security door that folds neatly out of the way when not in use. 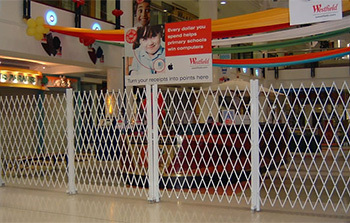 Trackless barrier for crowd control and partitioning in shopping malls, factory units, etc. 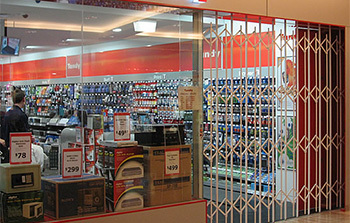 The strongest trellis security door currently available on the Australian market. 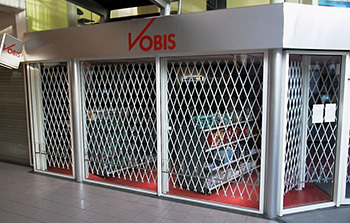 Heavy duty and fully-framed for extra protection of retail spaces that takes only seconds to close and lock. 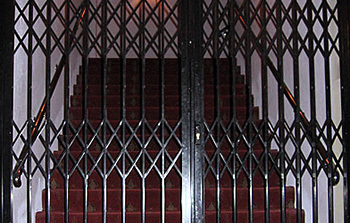 Pivoting Trellis security door system for narrow openings or where total visibility is paramount. 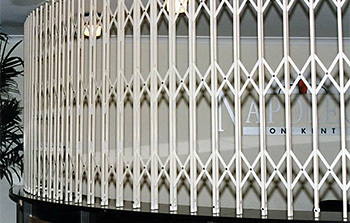 Curved Steel Trellis security system for securing curved or circular apertures.